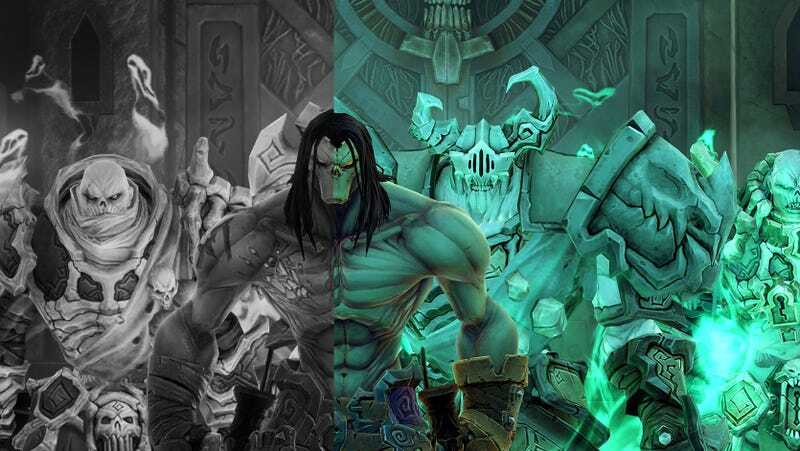 Death rides one more time in the upcoming Darksiders 2 Deathinative Edition for PlayStation 4 and Xbox One. Let’s see the difference a rewritten renderer and enhanced lighting can make. Gunfire Games is handling the move to new-gen, and it’s a much more involved process than simply upping the resolution. Design director John Pearl explains. Check out the slider images below. Before images are on the left, after on the right. In some places the new visuals are subtle—the characters don’t look drastically different, but the environments really pop.